A desert would be the last place you’d want to be stuck in. These large swaths of extremely dry and barren land make up about ⅓ of the earth’s surface and they’re one of the toughest terrains on the planet. Because so little precipitation occurs in these areas, little flora and fauna can be found. In a survival situation, that means limited sources of shelter, food or water. What makes matters worse is that most deserts span hundreds, if not thousands of square miles. If you ever have the misfortune of getting lost in the desert, you can literally travel for days on end without meeting a single person. In the desert, your biggest enemy is dehydration. The average daytime temperature can climb up to a scorching 100 deg F or 37.8 deg C, so your immediate priority would be to shield yourself from this punishing heat. 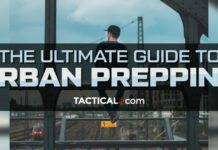 A prepper knows that the first line of protection against harsh weather is clothing. Until you find or make shelter, the clothes on your back are the only means of protection you can rely on. Dark-colored clothes absorb more heat, so stick to light, breathable clothing. And while it could get very hot out and you want nothing more than to strip your clothes off, doing so actually causes you to lose water faster and can even put you at risk for severe sunburns. So, keep that shirt on. If you can, pack a wide-brimmed hat or a shemagh to protect your head from the heat. Sunglasses also keep dust and sand from entering your eyes. When out in the desert, your best chance of shelter is your vehicle. It should be able to protect you from the harsh heat during the day and the freezing temperatures at night. A vehicle has more chances of being spotted by rescuers, too. Now, if the going really gets tough and you somehow got lost while hiking, you can try to find a rock ledge or crevice, just like this prepper. Before you bunker in though, make sure that there are no dangerous animals lurking about. If you aren’t lucky enough to find a cave, ledge or crevice, you’ll have to do what the desert animals do: dig a hole in the ground. If desert animals escape the ungodly heat by burrowing holes or trenches, you can, too. Underground, the temperature is relatively cooler so this will lessen your chances of dehydration or heat stroke. 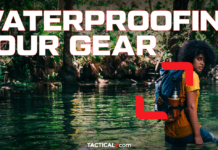 If you’ve got a tarp in your pack, you can place it over your trench to lend some shade. While temperatures can soar high during the day, they can significantly plummet once the sun sets. Proper clothing and protective gear like wool or space blankets can help you conserve heat. Make a campfire to keep warm and to ward off potential predators. This might be a dead giveaway but the best way to obtain water in the desert is to actually have it with you. If you’re traveling to the desert, make sure that you have an ample supply of drinking water with you. At least a gallon per person/day should be enough. Finding water in the desert is another matter altogether. It’s not impossible, but the process itself can be quite taxing. If you ever run out of water, you can try to dig beneath creek beds or build solar stills. Again, these methods take a bit of work, so try to do them in the morning, when the sun isn’t fully up yet. If you happen to have some clear plastic with you and can see some vegetation, you can try to collect plant transpiration or dew. Is it safe to drink cactus water? You wouldn’t want to count on these desert plants. Ingesting their juices can make your stomach turn and cause a bad bout of diarrhea, which can further cause dehydration, so proceed with caution. For other ways to collect water in the wild, check this article out. You have to fight dehydration at all cost so aside from the things mentioned above, you also have to be mindful of the things that you do while you’re in the desert. Try to limit activity especially during the day as this would cause you to lose more water. Find yourself a nice shade to conserve your energy. Move during the night instead. There’s no heat to sap your energies out and the physical activity helps to stave off the freezing temperatures as well. Stay away from anything that might cause you to need water or something that might further dehydration like smoking or drinking liquor. Soda is full of sugar and is therefore not a good source of hydration, either. Surprisingly, food is not the main concern when you’re out in the desert. Eat only to sustain yourself and to keep the worst of the hunger pangs away. Eating causes your metabolism to fire up; you need energy to burn all that food and that energy creates heat which causes you to lose more water. So just eat enough to keep yourself going. Ration your food and train yourself to eat only when you need it. Your stomach might protest, but it should pay off afterward. When you need to find food to sustain yourself until you find help, you can forage for wild edibles or trap small animals like rodents or reptiles. Pass up on active hunting as it takes too much energy. The desert has its fair share of dangerous critters. 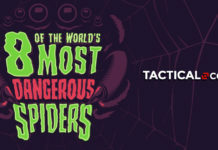 The most common ones include venomous snakes and scorpions. The sidewinder or horned rattlesnake’s venom can be enough to incapacitate you with severe pain and inflammation. It can also cause dizziness and chills. Another common wildlife threat is the Arizona bark scorpion, the most poisonous in all of North America. Like the rattlesnake, this scorpion’s venom rarely kills but it can cause severe pain and paralysis. You can avoid getting stung by these animals by first being mindful of the environment. Avoid sleeping next to tall grasses or bushes. Always shake items of clothing before wearing them; check your bag for any insects or poisonous hangers-on before strapping it on. And most especially, be mindful and avoid setting up camp near these animals’ nests or pits. Contrary to pop culture and movie references, quicksand is not likely to kill you. Quicksand is much denser than the human body so with a level head and lots of lower body strength, you can wade yourself out of quicksand. Sandstorms can occur but they’re not as severe as movies would like you to believe. If you do encounter one, make sure to protect your eyes and nose and take measures to prevent inhaling the dust. Now, the thing that you should be looking out for is desert flash floods. Ironic as it is, flash floods can happen in the desert and they can be very deadly. With hardly any trees or structures to quell the water’s speed, occasional storms end up becoming violent flash floods. The danger doubles when you’ve found yourself in a canyon, where the water can rush violently and potentially trap you. Ever heard of drowning in the desert? It’s entirely possible. Prevent this from happening by being mindful of the weather. If you find yourself in the middle of a flood, seek higher ground immediately. Surviving a desert is no easy feat. You’re dealing with one of the harshest places on the planet. Getting through this terrain needs a large amount of skill, foresight, and grit. The barren environment itself is a test of determination and will. Keep a level head on your shoulders, avoid falling into panic and use your resources wisely to make it out safe. 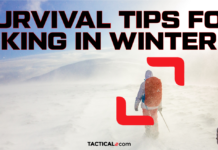 Any other survival tips that we missed? Let us know in the comments below.